JAMROCK means Jamaica and this scotch bonnet pepper jelly will take you straight there. The authentic flavours are spicy yet sweet, satisfying every palette. 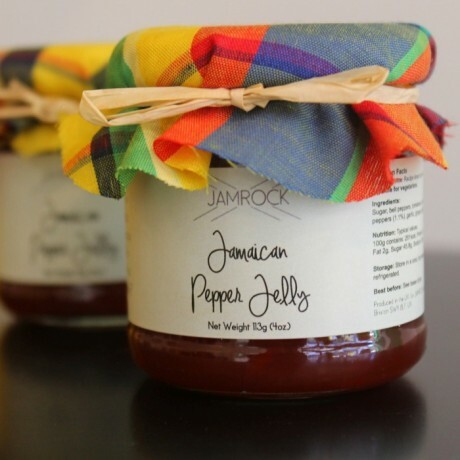 Jamaican pepper jelly is very versatile, it can be served with cheese, crackers, sandwiches, cold cuts, grilled corn or used in salad dressings, marinades and stir-fry. Available to buy in a quantity of 3; either 3 of the same jars or choose a selection of our range. This product is dispatched by Jamrock. Please note: this item has special delivery requirements so £3.80 is added to the delivery charges indicated below.